Vitrociset S.p.A. (Project Coordinator); Info Solution S.p.A.; Optisoft S.r.l. ; Italdata S.p.A.; Click & Find S.r.l. ; Project Automation S.p.A.; Powersoft S.r.l. ; C.I.P.I. Centro Interuniversitario sull’Ingegneria delle Piattaforme Informatiche TXT e-Solutions S.p.A.; Consorzio Milano Ricerche; C.N.R. Consiglio Nazionale delle Ricerche; Planetek Italia S.r.l. 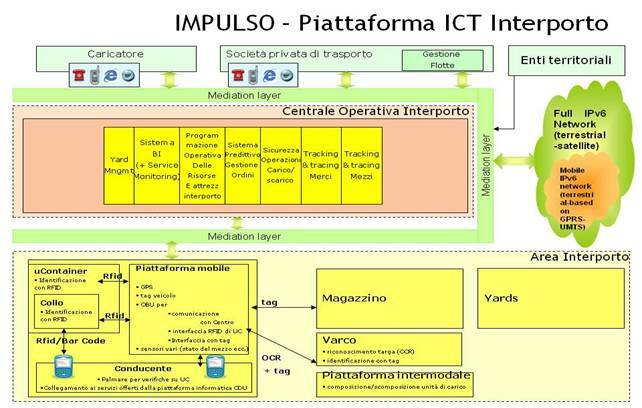 ; Università di Palermo; Softeco Sismat S.p.A., Aitek S.p.A., I.Log Iniziative Logistiche S.r.l., Telespazio S.p.A., Elsag-Datamat S.p.A., Globo Informatica S.r.l., CATTID Università di Roma “La Sapienza”, EAT European Advanced Technologies S.r.l., Media Plus S.r.l., Creasys S.r.l., ACT Solutions S.r.l., C.N.R. – I.C.T. Consiglio Nazionale delle Ricerche Dip.to Tecnologie Informatiche e Comunicazione. Freight Villages: joint areas of goods between the long and middle range. Usually they are either a termination point or the initial phase of the transport. Metropolitan Distribution Centers (CDM), preferably located on the edge of the metropolitan area. District Buffer (DB), or temporary goods storage areas located in urban districts. 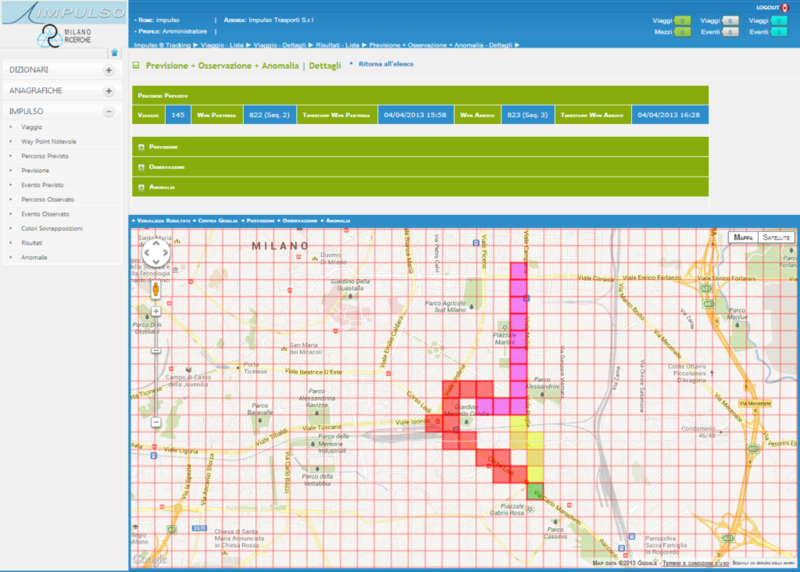 HW prototype for the operational management in the field of vehicles and goods.